Do You Own a How-To Website? 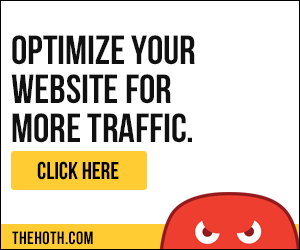 This Cheap Traffic Source is for You. This is a review of an untapped, pure human, and highly targeted web traffic source for every How-To website both in Nigeria and beyond. Now I know I might be stupid by trying to assume that you will be needing only this traffic source to help you build a very strong How-To website both in Nigeria and every part of the globe and this is considering how low priced the bidding for the CPC can be and how reactive the visitors will be on a How-To article. Did I say I might be stupid? Well maybe I did but read on to know if I really was stupid. Let us first learn what is a How-To website. A How-To website is a kind of website which teaches people DIY (Do It Yourself) ways of doing things and also how to master the art of technology, home gadgets, and some other things like how to fix and repair spoilt mobile phones or handy gadgets such as wrist watches and many other easy to use tools that support life. Now you might be asking yourself how to start up a website in a How-To niche but this is quite dependent on what you need to start with and what your mind focused on. If you do wish to start a website in the How-To niche, then consider these traffic sources we are about to explain in details here as a goldmine to help you achieve your dreams but if you already have a website in the How-To niche, you might want to add up these traffic sources to brace up what you already have and also maximize your earnings. But before we dived into this detail, let us first tell you why you cannot fetch traffic to a How-To website through Facebook which most people fashion as the best way to drive traffic to their websites these days. Most times, entertainment websites ad Ecommerce websites do well with facebook Ads rather than some other websites that do write about tech, blogging tips, insurance, make money online and many other non converting niches for website traffics. Try Facebook Ads on a technology website and try Facebook Ads on an entertainment or Ecommerece website using split testing on Ads and see how they will convert and then you will have to draw a conclusion on this fact and say that Facebook Ads is okay for some website niches and not others. So now that we have got your attention, let us dive into what the business of the day is. 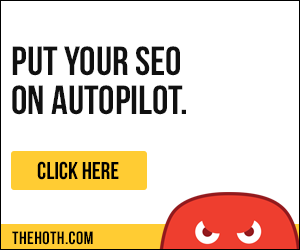 Where the heck do I get web traffic that converts in a How-To website? We are writing to bring to you the only way we know you can bring in targeted visitors to your How-To website in a free way or paid way, but even if they are paid, it is quite cheap and targeted when compared to other sources like facebook. Quora is a question and answer platform which makes it very easy to drive traffic from the platform to your website and the traffic will be a very very targeted traffic. People on Quora are very much focused on How-Tos and getting questions answered and as such, this platform can help you drive traffic with the interest of people who will want to know about how to do this or how to do that and it is a very good targeted traffic source. 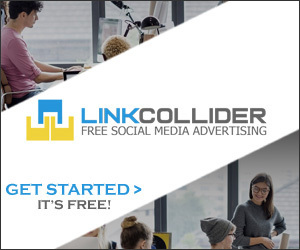 With this platform, you can drive affiliate sales, leads, clicks to Ads on your website (Display Ads like Google Adsense) and also affiliate traffic and the rest. Quora offers two distinct ways to drive targeted traffic to your website and increase your web traffic and revenue and we will be explaining the two here just in a few minutes and tell you the best choice to make in it. Using Quora for your How-To website will help drive traffic to your website and eventually help you make money online but this is only if you leverage your time to answer meaningful questions on Quora and also follow the thread and topic you are really good in and provide good advice to Quora users. These users will in turn have a look at your website and see if they can get to know you better or know exactly what the person who is helping them is giving to others actually. I am open witness to this and you can do this too. You can see a question you can give an expert answer to on Quora and this is where you will have to shoot your shot. Answer the question with your website link in the post smartly placed at strategic points but please do make sure you provide value while answering the question and do not appear to make the answer seem like a Spam or trying to send users to your website but the inner intent is to send users to your website. But try to cloak the intent behind the links smartly placed in the answers you give. We have successfully answered questions on Quora and have also retained our prestige in the platform as we have always got to over 3.5k reads on our answers in a month. We have a screen-shot to help you understand how to answer questions on Quora perfectly without issues of Spam as a question we answered got a thumb up. You will have to direct your website homepage URL in your Quora profile and this will make people seek your website homepage URL and information on your profile to check you out. This is where you get to see your website start generating visitors from Quora and these visitors will be highly targeted to your website and your topic. These above stated are the easy was and the hassle free ones. Running paid Ads on Quora can be a very good way to drive in highly targeted visitors to your How-To website as all the participants of Quora are asking questions and they are adicted to the How-To as a word. Most times, you will see that the questions you ask Google (The big Moz) with the keyword (How To) will normally be answered by Quora. 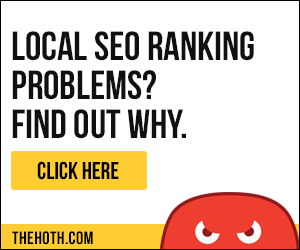 So imagine a situation where you advertised your How-To website on Quora with the Ad description of (How To do…. ), I hope you can envisage how converting this traffic can be in your website? I started using Quora Ads on this website a few months Ago and I experienced a very huge revenue uplift as a result of the fact that most of the direct services we offer here @Blogincomes are based on How Tos and this made us to make good income notwithstanding the fact that we do not use display Ads. You could imagine how much we could have made if we used Google Adsense here. Quora allows you to target specific interest and questions that will suite what you are advertising so in my own opinion, I can say that this is the only website that will drive buying intent visitors to a How-To website and the website will experience a conversion rate of above 70%. This is through an experience we had and not just a mere talk just to flatter ourselves. You can use Quora as an added traffic source to your How-To website but we do understand the fact that his has been underutilized though but we shall not be worried enough to say that it is a very very big rival to Facebook Ads. Quora could be a huge replacement for those bloggers who have been banned by the Facebook program and their websites have been flagged as Spam by Facebook and this means there is nothing they write or submit to Facebook that can be accepted. Also the How-Tos website can use Quora to drive massive and buying intent traffic to their website and reap the fruit from this untapped traffic source for websites. wonderful one, but how do you make money from this website? We also use and review ad networks for owners and also give unbiased reviews and get paid. Read our disclosure, our direct services and also our affiliate disclosures too. Really satisfied with your answer. Thank for reading our review. We really appreciate your visit and contribution.